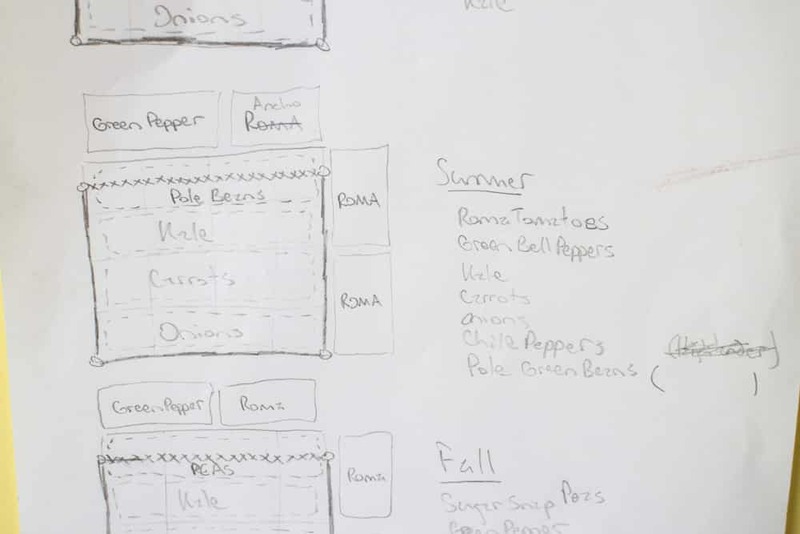 4×4 Garden Plan: Let’s Grow 100 Pounds of Food! How to Grow Indoor Plants - This apartment has over 700 plants! This year we’re going back to garden basics. And we’re back in Brooklyn y’all! 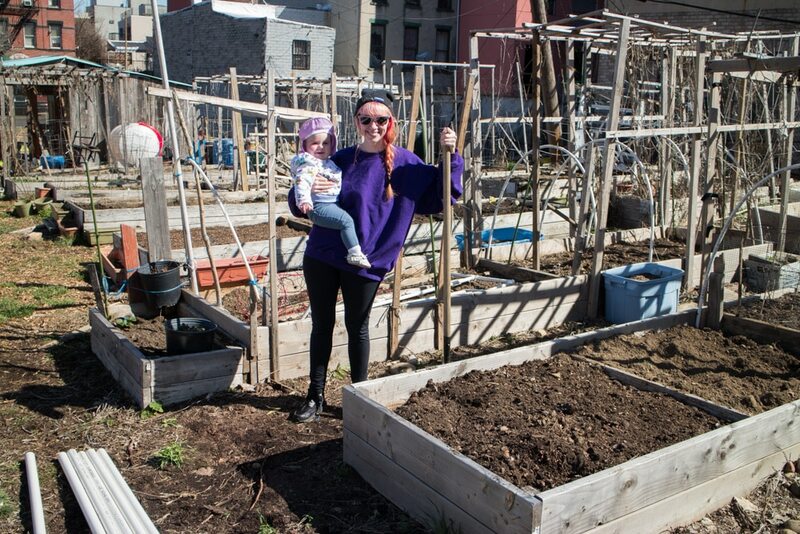 After spending 2 Summers gardening Upstate we’re going back to our garden roots – growing in a small space in the city! Let me introduce you to this Summer’s experiment – how much can we grow in a 4×4 garden? 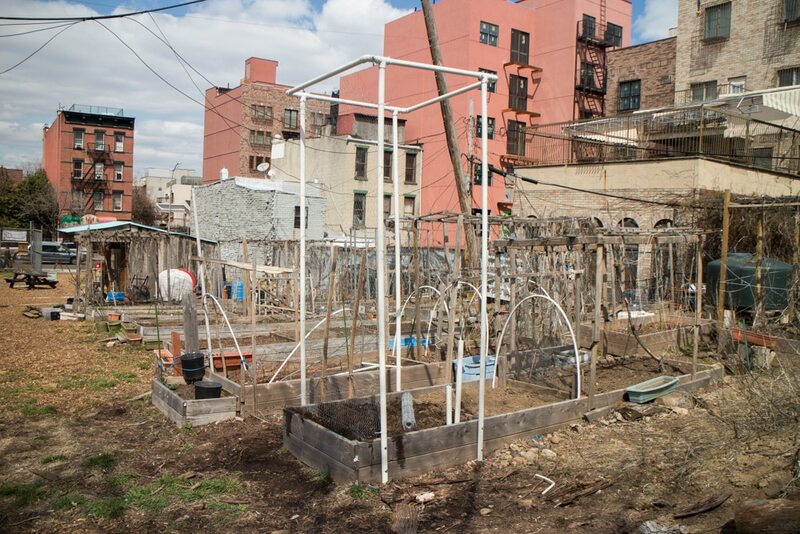 This year we joined our Brooklyn neighborhood community garden and got a 4×4 garden plot. We’re going to be using every inch of that 4×4 space, including the outside of the box with sub-irrigated containers! Seriously, we’re going to use all the space that comes with our little growing area! So here’s my goal. 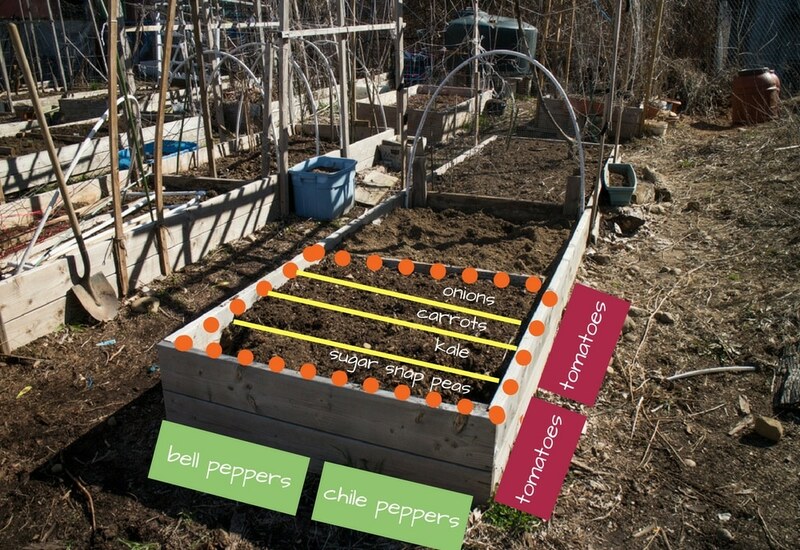 I want to show you that you don’t need a lot of space to grow your own food! 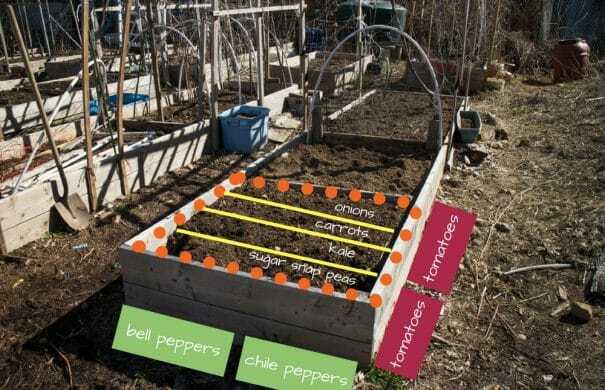 I want to grow 100 pounds of vegetables in a 4×4 garden plot! We’re not growing any heavy vegetables this year, such as pumpkins or watermelons, so the majority of the pounds would come from tomatoes. Instead of growing 3 types of tomatoes like we did every year, we’re only growing roma tomatoes this year because that’s what we use and can the most. What vegetables can I grow in the Summer? The sugar snap peas have been planted and will grow up a tall fence like we usually attach to the boxes. Once the snap peas are finished, we’ll replace them with pole beans. We’ll see how Fall goes and see if we can get a 2nd harvest of snap peas – but that’s thinking too much in the future! One new vegetable we’re growing this year is highlander peppers. They are listed as mild in flavor. We’ve been using a lot of cans of diced green chiles the last few months so I decided we’d try to make our own. I’m hoping we have a nice yield so we can can them! Spring feels like it’s never going to arrive, so we’ve been dancing around the planting schedule, hoping we’re finally out of the frost zone. Last weekend we were in the high 70s temperature and then today we’re back in the 40s, so we’re still waiting for Spring to become official! What’s growing in our 4×4 garden now? So far we got our sugar snap peas, onions and kale planted outside. 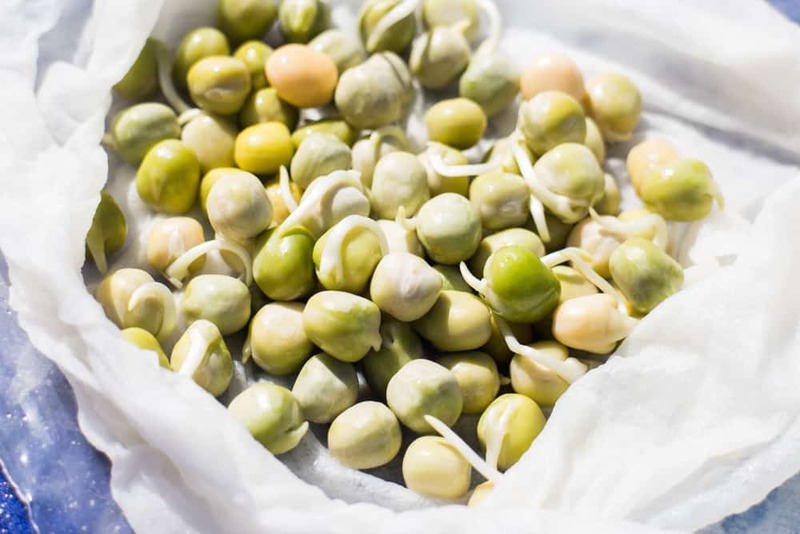 We always presprout our peas for better results! A few days ago they started pushing out of the soil which is always welcoming to see! Matthew spent a afternoon building the pea fence to put up in the garden. I know the fence looks tall (and it is) but remember the year they grew so tall they reached the top? So we need to be prepared! Most of my garden morning was spent making sure this little one doesn’t eat any wood chips. She’s crawling, pulling herself up and eating everything she can touch so she’s a handful! 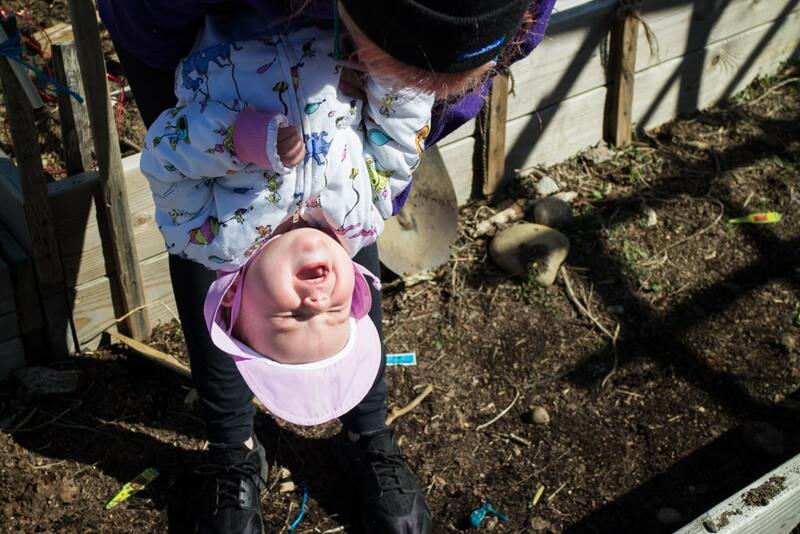 I can’t wait to be able to teach her how to garden! Next time I will be back with how all the vegetables are doing! Here’s to hoping the weather warms up and you’re enjoying the beginning of garden season! Wish us luck with the 4×4 garden 100 pound goal! Good luck & I am wanting you to reach or surpass your goal! Keep us all posted! What happened? This is such a change from last year? It was fun to watch all ur progress last year, and the amazing amount of work it took…..
What are you going to do with upstate property? It was so pretty up there, with all your hard endless efforts!! I will miss watching things transpire! Something would be funny to say “I don’t know you, but your sharing your experience, and skills feels in principle like “Oh, I know you, human! We do share what we know for living on Earth.” So t’anks for sharing, and I’m tanked to find a plot of 4×4 where we can do this, too – that is, again. We’ve done rooftop gardening in a city, and found irrigation challenging with the intense summer heat. Have a great crop. Oh! Bonus cool that the young ‘un is getting to know the good dirt early on. Bye for now.